Full-time international student numbers in Sydney’s five largest central Sydney universities have demonstrated strong growth in the last two years, with increases of 4,115 and 3,221 respectively. Anecdotally it appears that this growth has continued in 2016/2017. The supply of new accommodation is simply not keeping up with demand. Research indicated that 2,022 beds are in the development pipeline with development approval, or under construction, with expected completions from 2018-2020. Due to this unrelenting demand, the Furnished Property business has chosen to sell a significant central Sydney student and short-stay accommodation portfolio of 14 long-term leasehold properties currently providing 326 beds in 203 bedrooms through Savills Australia. The majority of the properties in the portfolio are within 3.5km of the Sydney CBD and all are in close proximity to amenities and public transport links providing access to the Sydney CBD and education providers. According to Savills Director of Student Accommodation Conal Newland, the portfolio currently targets students, but offers considerable flexibility to attract a wide range of occupiers. “First established in 2001 by the current owners of the Furnished Property Business, the portfolio has steadily grown over the last 16 years. Its extensive track record of profitable performance demonstrates excellent margins and growth and includes a diversified range of accommodation offerings. 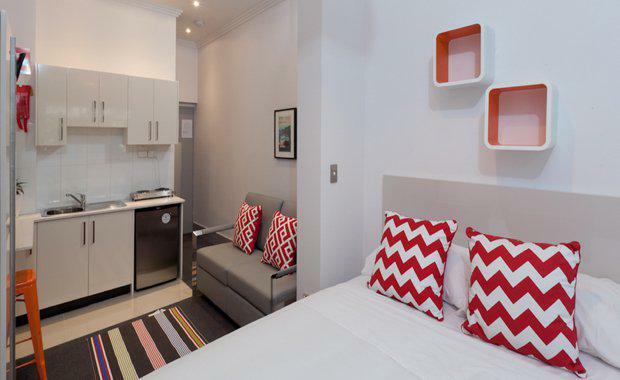 “This comprises self-contained studios, one and two bedroom apartments, together with twin and triple shared bedrooms. Many of the properties incorporate communal facilities, two are located above licensed premises that provide easy access to the restaurant and bar facilities. "Mr Newland said as a mature short-stay accommodation business, this is a truly rare opportunity as the portfolio possesses properties conveniently located near Sydney’s Central Business District (CBD) and its world renowned universities. “This portfolio presents an existing opportunity to acquire a well-established student housing business with significant opportunities to enhance returns and expand further into Sydney’s buoyant short-term accommodation market,” Mr Newland said.